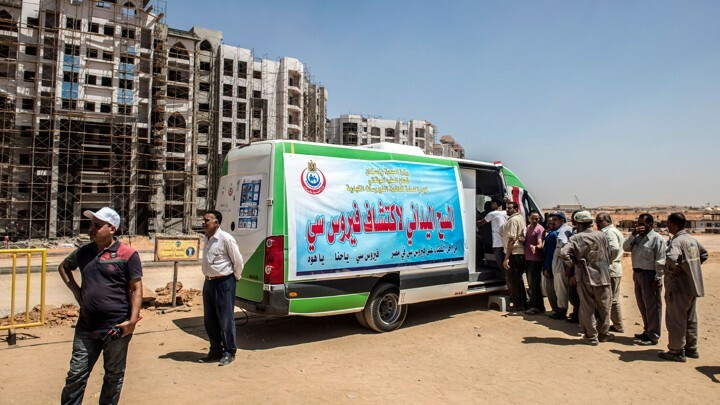 The Red Sea Health Directorate announced on Saturday that comprehensive medical screening for Hepatitis C and noncommunicable diseases has been launched for foreign residents and refugees, as part of the 100 million healthy lives initiative. Undersecretary of the Health Ministry in the Red Sea Tamer Marei, confirmed that the medical survey campaign will start for the people at the age of 12 and above. The survey and the check up are being carried out in the following places: Al-Amal health unit at Ras Ghareb, the Marina health unit at Hurghada, Safaga Central Hospital, the Maternal and child health center in Qusair, the Family Health Center in Marsa Alam, and the Shalateen Central Hospital. The survey comes free of charge and the daily screening starts from 9 am to 3 pm except on Friday and holidays. Egyptian President Abdel Fattah al-Sisi ordered his government at the conclusion of the Arab-African Youth Platform in Aswan last month to screen Egypt’s foreign residents as part of the 100 million healthy lives initiative. Egypt launched the 100 million healthy lives screening campaign in 2018 targeting people aged 19 to 59 for scans by PCR tests. Those who test positive for the disease are expected to undergo further check-ups and will be provided free medication.